We are engaged in offering precision engineered range of milling and size reduction systems across wide range of Industries These industrial mill are appreciated for hassle-free operation, low maintenance and compact design. Further, we also offer customization facility on the products as per the client’s requirements. Our range includes cylindrical steel shell Batch Type Ball Grinding Mill with flanged steel heads, rotating on a horizontal axis. 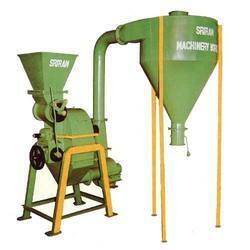 The two ends are capable of withstanding the rotational load of the feed material, grinding media and the mill. Openings are provided through which the grinding media and the process material can be loaded and discharged. Our range of Hammer Mill is designed for the fine grinding applications of food stuffs, spices, masala, herbals, and pigments. These hammer mills are made using the advanced technology and are known for their dust free operation, low maintenance, low power consumption and single operation for grinding & blending. 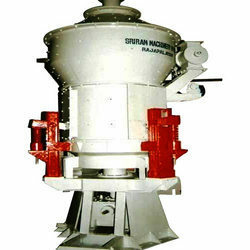 Vertical Roller Mill offered by us introduced new concept in grinding system with Advanced grinding technology solutions. These are available in standard sizes which is compact in design, higher capacity, easy operation and low maintenance. The ground material is supplied onto a rotating grinding table connected to a bevel-spur gearbox, driven by an electric motor or possibly a hydraulic drive. 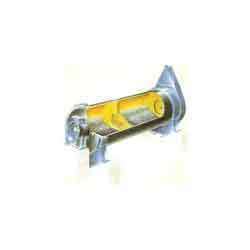 Conical grinding runners are pressed on the material by means of hydraulic-pneumatic (or spring) force. The material passes from table center to the runners where it is ground. On the table periphery the material falls over a retainer ring. There the material is picked up by air stream drawn from the lower part of the mill. The ground material is carried through a blade ring upwards via a chamber, which narrows and transitions to a dynamic separator. The coarse fraction from the separator is returned on the table. Cyclones or filters separate the final product. Note:The Specifications and Images noted above are subject to change and can be used as guidance only. 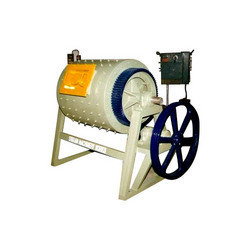 Continuous Discharge Mill is a type of Ball mill. In this Continuous Discharge Mill a single compartment or divided into two or three compartments by a grate or diaphragm screening the material. The mill is ground in the first compartment. The raw feed material at controlled rate enters into inlet end of the mill. These fines are discharged with air steam through the outlet end to cyclone separator by a fan. The mechanical classifier may be installed with the system meant for collecting even particles size applied / product. Our product fineness is controlled by means of varying the speed of classifier rotor.